Here are some of the West’s courageous, compassionate, shoot-for-the-moon women, who each give back to their community, sport and animals with a passion that is inspirational. Talk about a comeback. 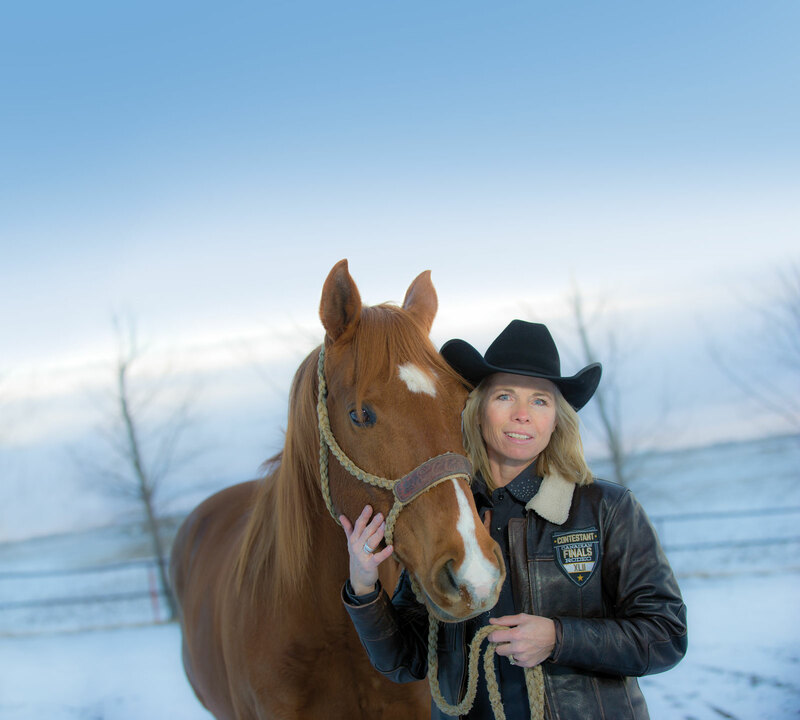 When six-time Canadian Finals Rodeo qualifier, Nancy Csabay received a diagnosis of breast cancer in 2013, the 47-year-old cowgirl chose a radical bilateral mastectomy and then went about the business of living. In 2015, she took the country by storm. She qualified for the CFR, won the Pro Rodeo Canada Season Leader Award, the CFR Average, the CFR Top Gun Award, Cowgirl of the Year and the coveted National Championship title. To top it off, Nancy’s homegrown 11-year-old mare Little Miss Wicked was voted in as the 2015 CPRA Barrel Horse with the Most Heart. Without her husband Tony and daughter Kate, she says, she wouldn’t be where she is today. For Nancy, barrel racing is not about buckles or chasing rodeo dreams, it’s about being authentic, being present, and living each day to the fullest. 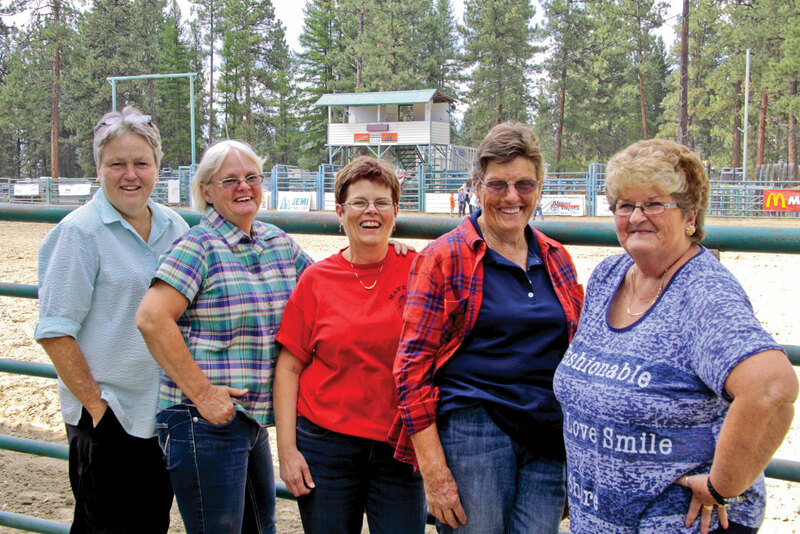 Cranbrook Pro Rodeo Committee, Cranbook, B.C. In 1986 a group of “horsey people” from around Cranbrook, B.C., staged an amateur rodeo as a Wycliffe Exhibition Association (WEA) fundraiser. It wasn’t much of a fundraiser — they cleared $90. At the WEA meeting, Dallas Mackie caused a kerfuffle when she suggested switching to a pro rodeo. Many washed their hands of it but they authorized Dallas and Association president Artha Campsall to explore the possibility. The two ladies recruited friends and formed, quite possibly, the world’s first all-female rodeo committee. In 2005, the ringleader, Dallas, was surprised to be named the CPRA’s Committee Person of the Year, and in her unrehearsed acceptance speech, she cussed her committee for nominating her. There were no hard feelings though because they’re still all-in, and this August will mark the 30th Annual Cranbrook Pro Rodeo. You can read more profiles in the February/March 2016 issue of Canadian Cowboy Country magazine. To subscribe, click here or call Kendra at 1-800-943-7336.